Comminuted fracture of the ulnar olecranon with distraction of fragments. Fracture of the coronoid process with anterior displacement. 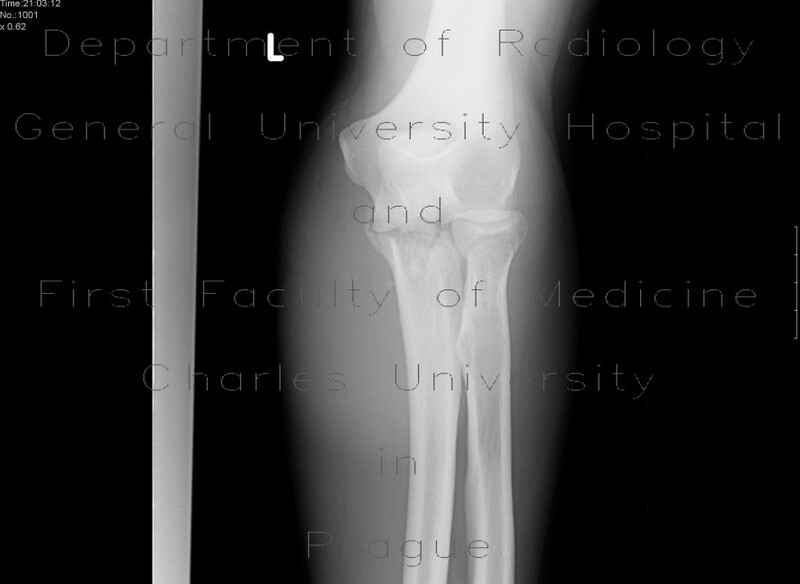 Subcapital fracture of the radius with impaction on anterior side causing angulation.